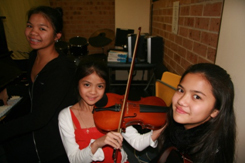 At Shine Music, we believe there are vital ways to prepare students for the Australian Music Examinations Board (AMEB) Exams. AMEB examiners assess hundreds of students everyday and only highly skilled and trained individuals receive an A+. Although we cannot guarantee all students will get an A+, we can however ensure that students who follow these guidelines will be able to achieve the highest and best mark possible on the day of the examination. Well before students take an exam they should have practiced to become proficient in the technical work of the selected music pieces. Practicing everyday and allocating 15- 30 minutes a day can help students perfect their performances. The aim is to ensure scales are polished and performances are perfect time after time without any mistakes. You must fully understand the style of the piece and play like a professional performer. All pieces need to be performed from memory so always practice exam pieces from memory at least 3 months from the exam period. Part of the exam will include an aural exam whereby students will be asked questions on their pieces and level of technical knowledge. Ensure that your teacher has been able to guide you through as teachers can often predict what questions would be asked and allow students to practice their answers well before the exams. Try practicing to friends and family. This will help calm the nerves down and build confidence in your performances. As you become more use to performing in front of people, the confidence will reflect in your performances on the day of the exam. Use local eisteddfods, festivals and performance opportunities to increase your confidence on exam day. Ensure your music selection for exams, reflects your interests, genre and that you enjoy learning these pieces. It is important that the use entire syllabus is evident and the selected pieces are from both the manual list and the set list. 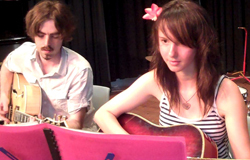 In some cases, free choice pieces are available where a student are allowed to perform their own composition or song from the public domain, which can include popular music hits from a favourite artist or band such as a Harry Potter theme. As AMEB examiners assess hundreds of students daily, it can be helpful to select a variety of pieces from the manual list as well as free choice pieces to help stand out from the crowd. This will keep examiners entertained while you perform and allow you to succeed in getting the marks you deserve. Follow all these guidelines and you will be looking at your highest possible exam mark. 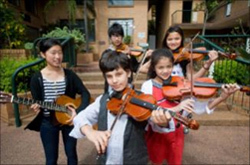 Shine Music School uses over 10 years of experience and excellent results to provide professional music exam preparation for all students young and old, beginner to advanced.